This is my friends awesome blog, check her out folks! 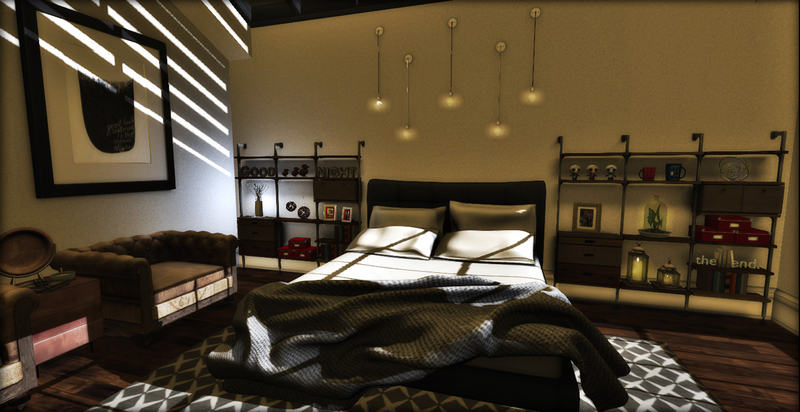 So for some reason I love to buy beds in SL idk what is up with that… but all I know is that when I saw this bed from PILOT it was coming home with me. Since this bed has a bit of a masculine feel to me I wanted to make a dude bedroom and this is what I came up with.